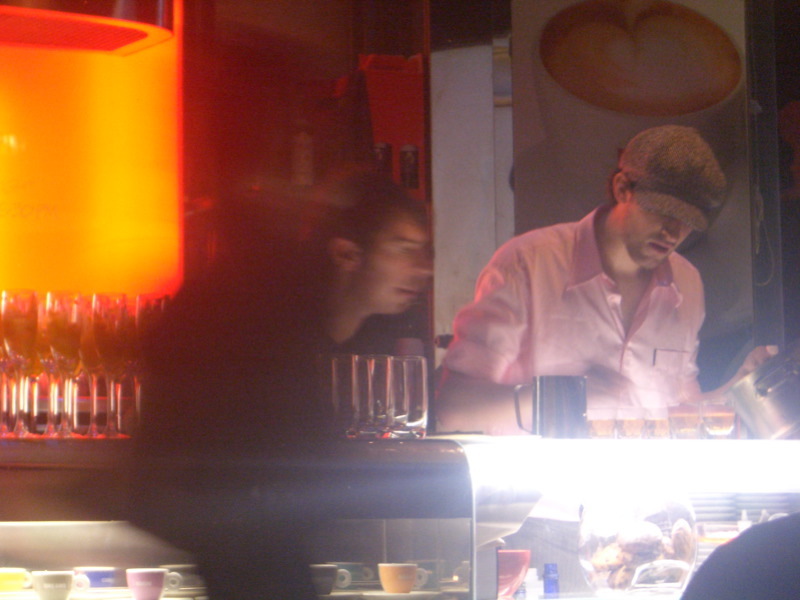 As the month of May gasped its last (increasingly chilly) breath, a small posse of us trooped along to Cafe Vue for another of their Cocktail Nights (five themed cocktails and five dishettes from the VdM kitchen for $75 per head). 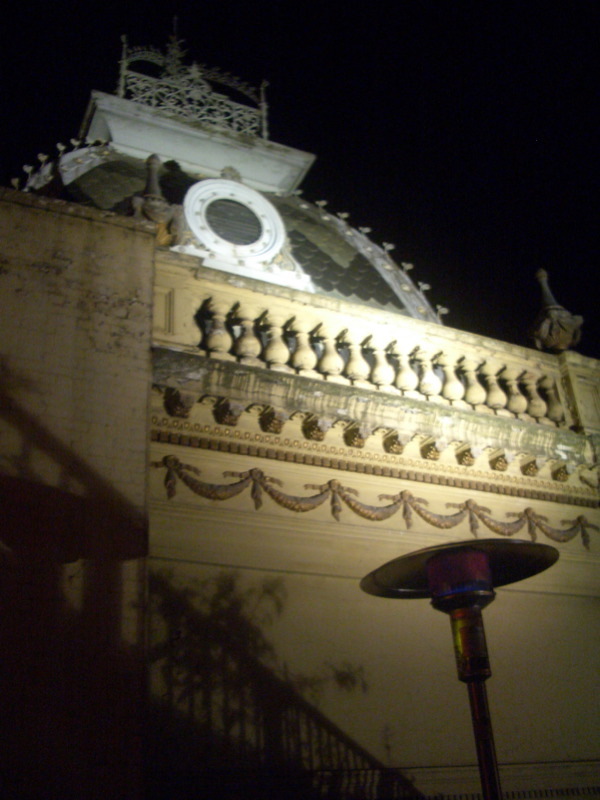 I'd loved the Christmas night, but had been less enthusiastic with the Chinese New Year night. The May menu and cocktail list (theme: Tequila!) had piqued my interest - I figured it would be a good opportunity to learn a bit more about Mexico's favourite spirit made from native agave azul. Ay caramba. 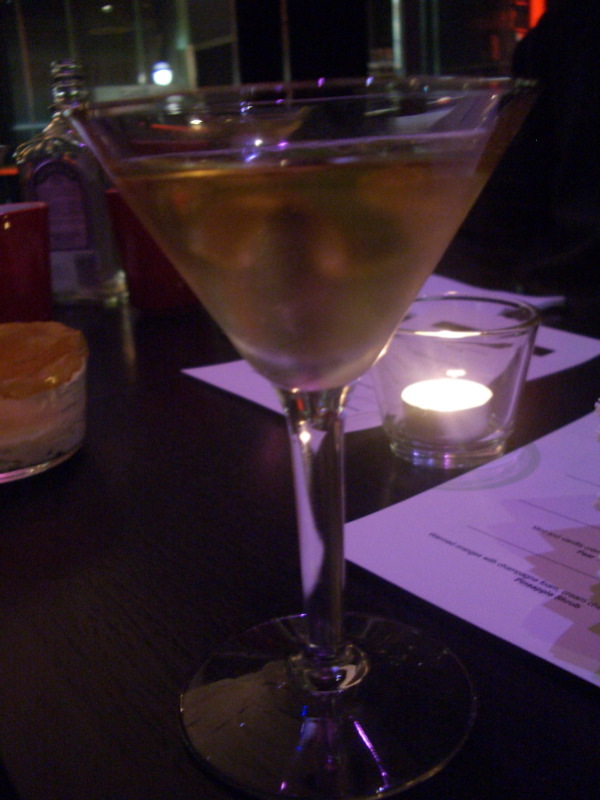 First up was a Blanco Rickey, a tequilised version of a Gin Rickey, using tequila blanco. The unaged white tequila had a herbaceous taste, which married nicely with the lime and soda. 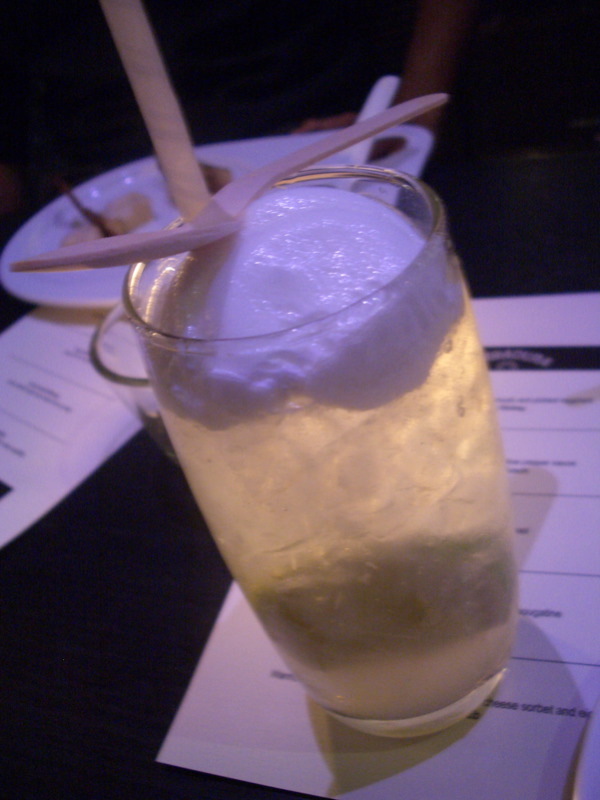 The cocktail was topped with agave foam which was fascinating to try, and surprisingly sweet and tasty. The Blanco Rickey came with eggplant chips, baba ganoush and pickled eggplant. I know the relatively inexpensive price of the night means that the dishettes are often on the small side, but this really was disappointingly miniature. 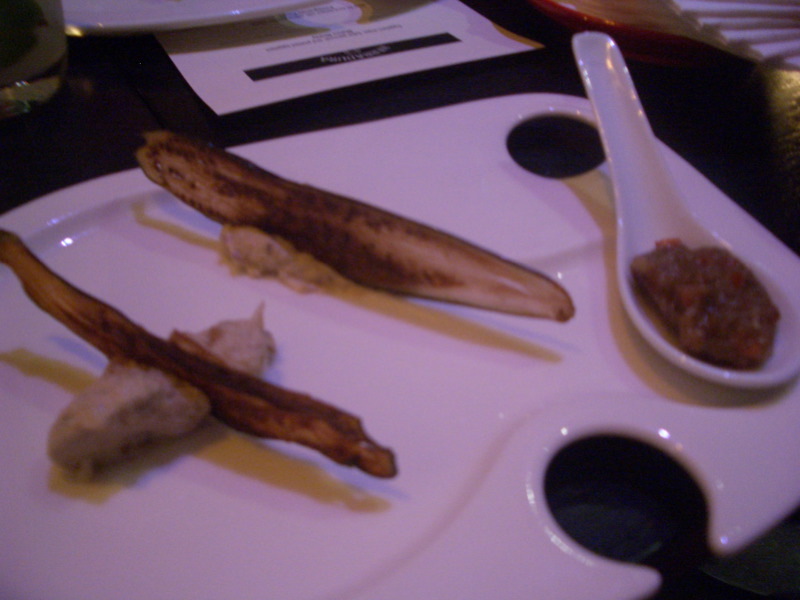 Still, the chips had a smoky flavour and the pickled eggplant was good and zingy, featuring lemongrass and lemon zest. The Pomegranate Punch also used tequila blanco, together with pomegranate liqueur, herbs, fruit juices and a fresh basil leaf. Very refreshing - I just love the taste of pomegranate. The second dish tasted as good as it looked. 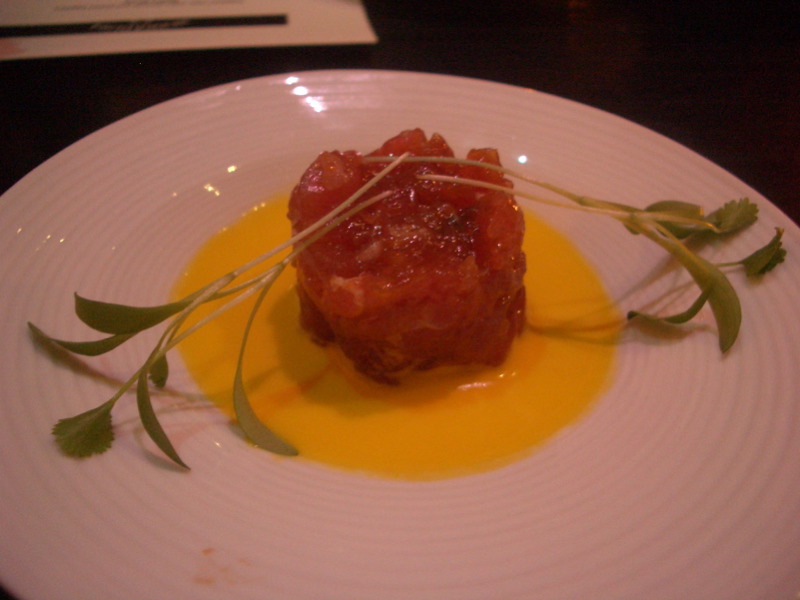 Blue fin tuna tartare with yellow pepper sauce, which was slightly curried. Yummmm. My pal S was brought a vegetarian option straight from the kitchen: Swiss brown mushroom risotto with mushroom air (yep, it's ALL about the air, foam and gel here at the Cafe Vue Cocktail Night...). The third cocktail featured tequila reposado, aged in American oak for anywhere between 60 days to 11 months and consequently having a bit more whack to it. 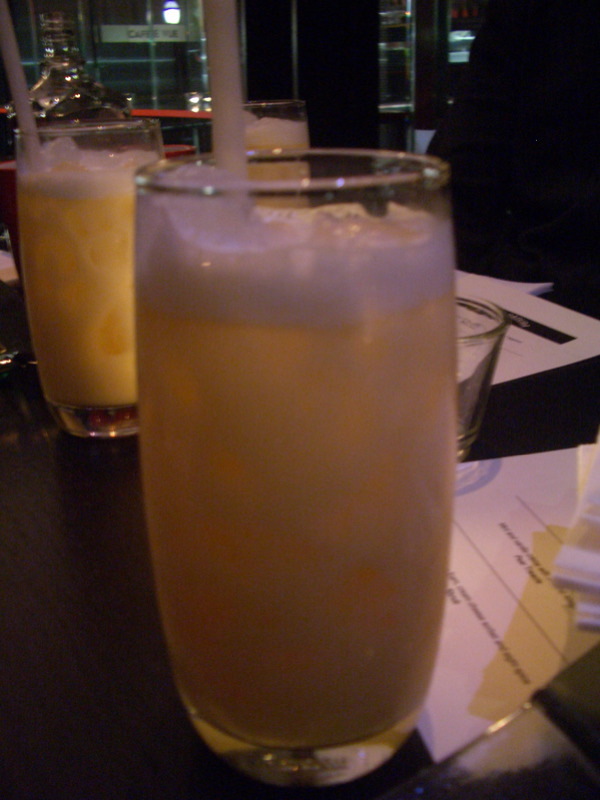 The cocktail was a Gold Apricot Fizz, which differed from a traditional Fizz in that it substituted apricot juice for citrus fruit, then added vanilla and mixed in some egg yolk to give it that emulsifier mouthfeel. Loved it. The Fizz was matched with a beef terrine on corn bread. 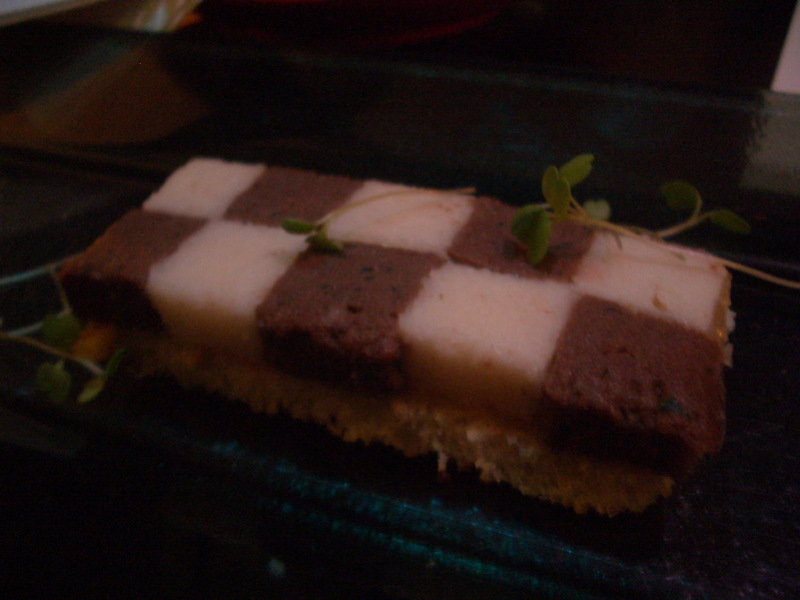 As you can see, the terrine was extremely cute (wagyu beef chequered with polenta) but wasn't particularly exciting taste-wise. I preferred S's vego option of tomato cannoli with goat's cheese. Unusually for the Cafe Vue Cocktail Nights, two of the five courses were desserts. The first was a mint and vanilla crème with a delicate casing of almond nougatine over the top (promptly bashed in by yours truly, as the before and after shots attest). 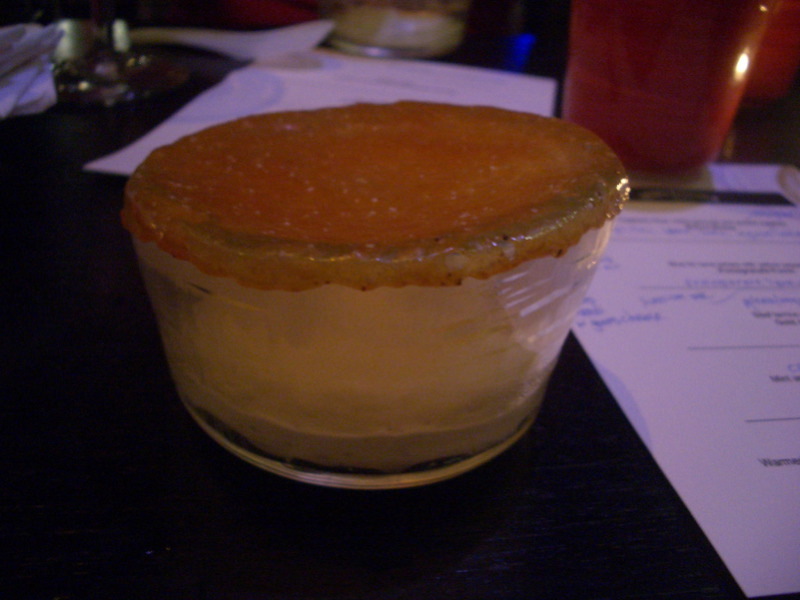 The crème didn't have any egg in it, but had a wonderfully smooth consistency, broken up by the shards of nougatine. I scraped up every last bit of it. 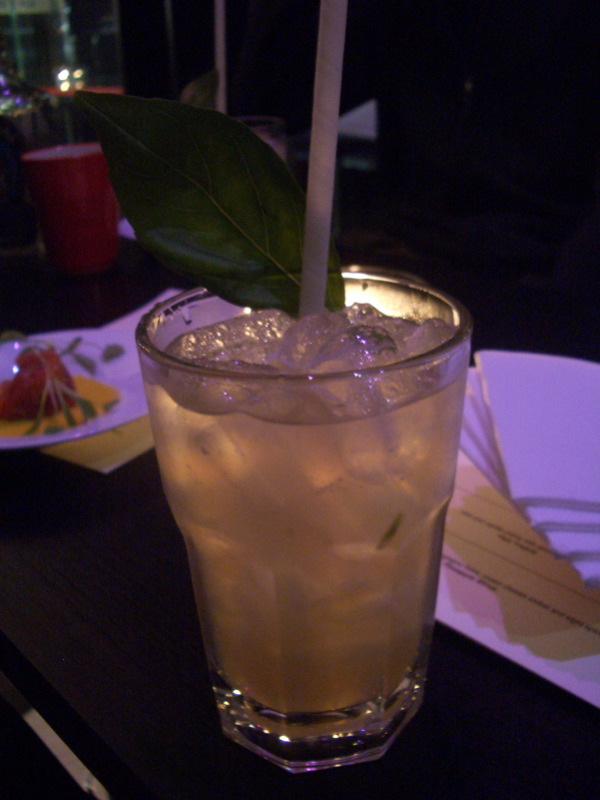 The final cocktail was the Pineapple Shrub. The good folk at Kaiser Penguin wrote a handy little article explaining that a shrub is a cocktail preparation of fruit syrup, generally using rum. 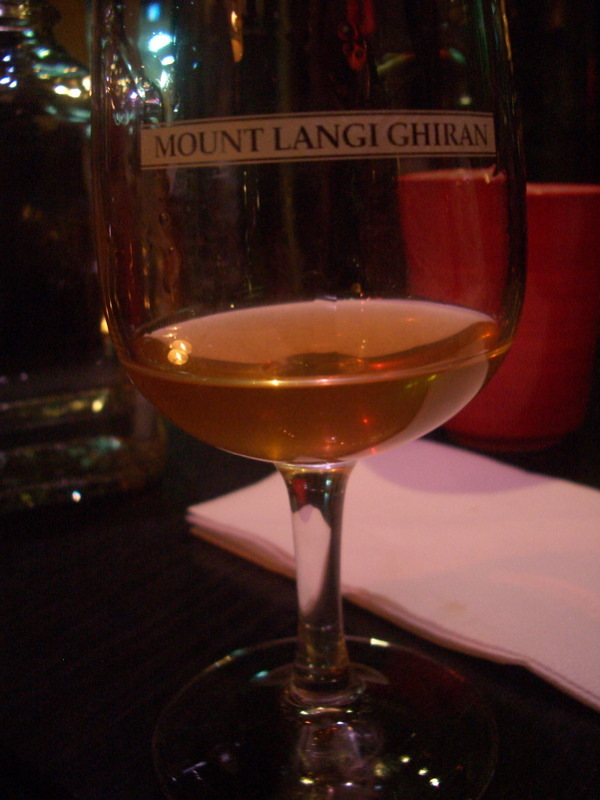 This shrub used pineapple, orange, sugar, Tokay, Angostura bitters and tequila añejo, aged for over a year. 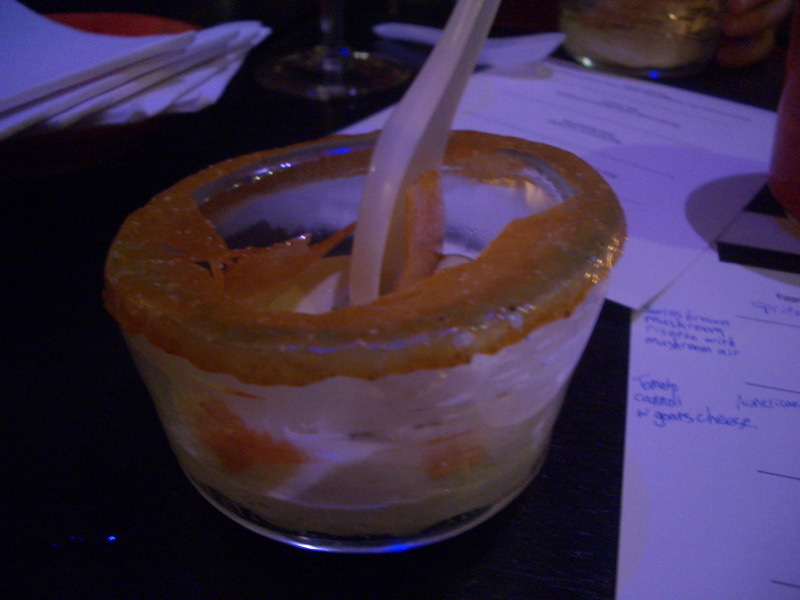 I think this was my favourite of the cocktails - although it had this lovely winter warmer oranges-and-bitters feel to it, the counter-balancing pineapple flavour was sensational! 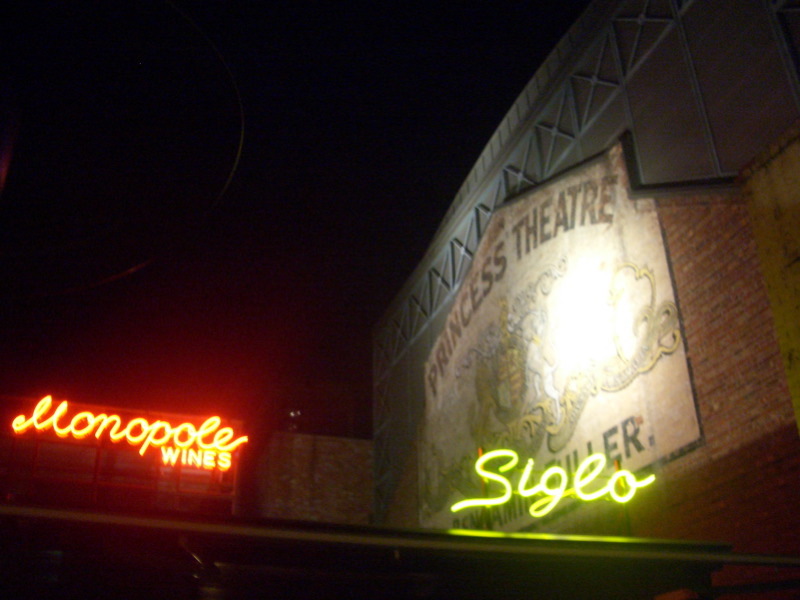 When we'd had enough tequila, S and I left the others and tottered up the hill to meet friends at Siglo, the newish bar set up by Con "European, Melbourne Wine Shop, Melbourne Supper Club" Christopoulos on the rooftop of the Supper Club. 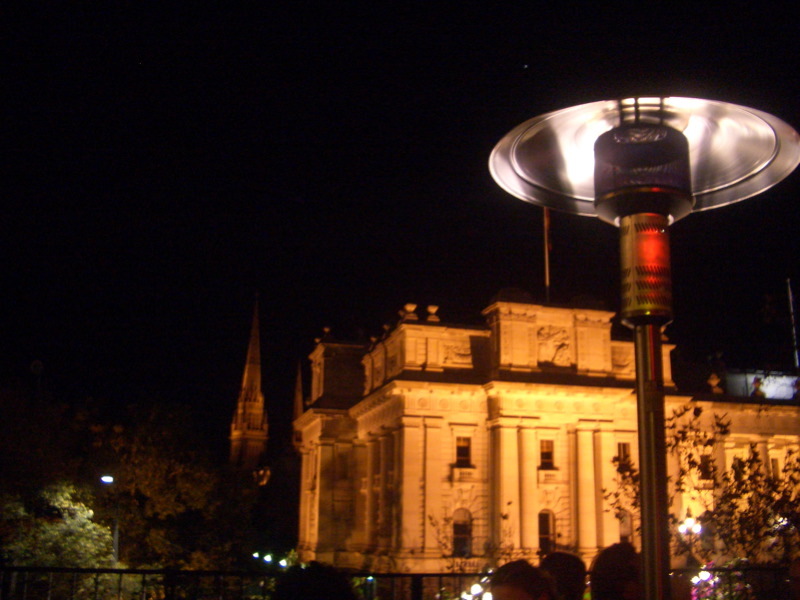 It was a coooold night but we sat under the large heat lamps while N and F smoked, and we admired the sensational view of Parliament House. 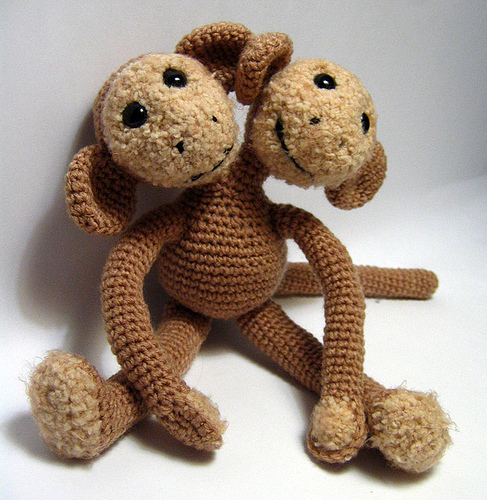 Hi Agnes! If you need any further encouragement to attend, don't just take my word for it - take Cindy's! 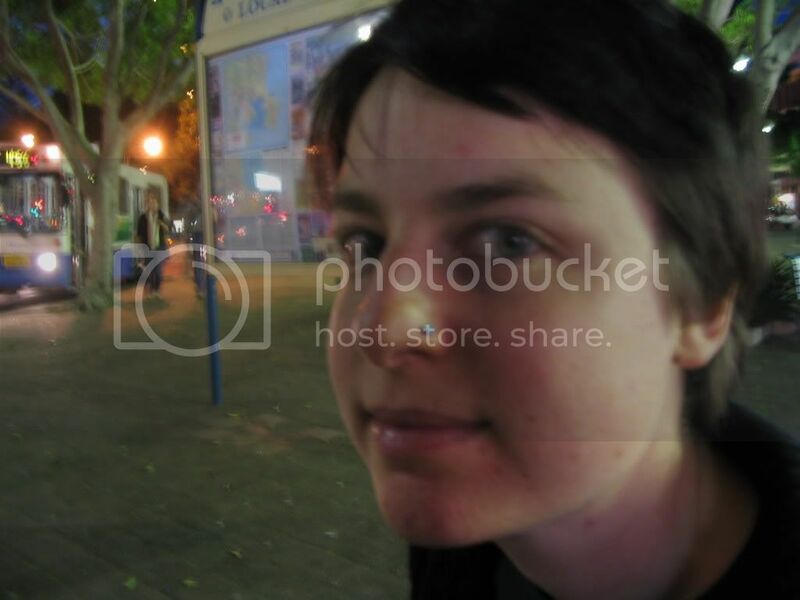 Her excellent write-up of the June Cocktail Night (from a vego perspective is here. Claire, this month's theme is 'Christmas in July'. I must confess that I went on Friday night with some girlfriends. My friend who is much more food literate than I am really loved it, even moreso than tequila madness - but I wasn't the biggest fan. Maybe it was the mixing of the alcohol? The food was more substantial than usual although I was amused (yet also a bit disturbed) to see that the first course, 'spiced duck and rye cookies' was duck squished between two circles of pumpernickel bread and pea pate which you may remember from our June lunchbox!